Queen duvet cover (88" x 88") featuring the image "A Little Woozy" by Suzanne Theis. Our soft microfiber duvet covers are hand sewn and include a hidden zipper for easy washing and assembly. Your selected image is printed on the top surface with a soft white surface underneath. All duvet covers are machine washable with cold water and a mild detergent. Your comment is very much appreciated, Stephanie!! Thank you! really like these street scenes, the bold blues and reds and the off kilter view. wonderful Suzanne! Thank you, Peggy! I love visiting New Orleans! Very nice work I love it great colors. Thank you Joyce! New Orleans is a lot of fun to visit! What a fun painting - I feel as though I'm right in the middle of it! I did have fun with this one, Dianne! Thanks! 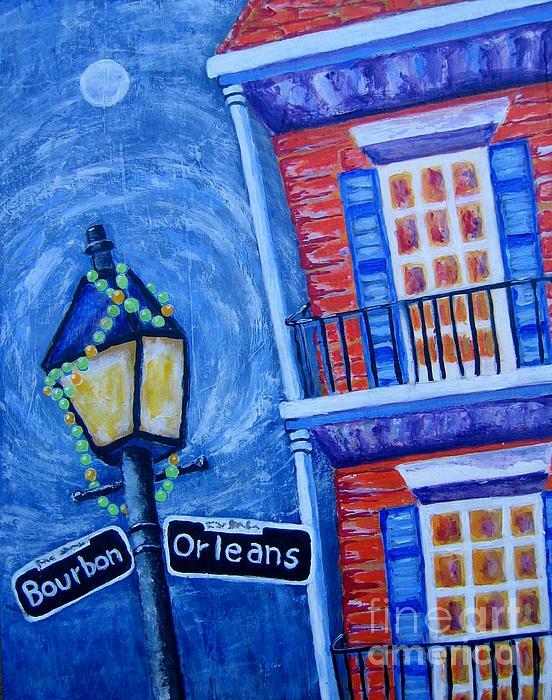 Thank you, Lenore, for featuring my painting in your group, "All About Louisiana"! I do very much appreciate it! 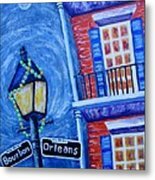 Thank you, Bill, for featuring my painting in your group, New Orleans! I'm honored! Thank you most sincerely for featuring my painting, Michael! I love New Orleans! What a fun and happy painting! Thank youk Harriet! Your work is oh so lovely!! Thank you for the vote, Phyllis...we always have such a fun time visiting New Orleans! Thank you to the buyer from Winchester, Va. I'm honored and hope that you enjoy my painting! 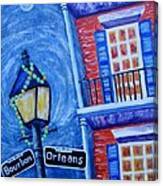 Thank you, Christy Robbins from Southern Artist, for featuring my painting! I'm so honored! Thank you, Madalea, for featuring my painting on Female Artists and thank you for your very nice comments. I'm deeply honored and sincerely appreciate your time and interest! 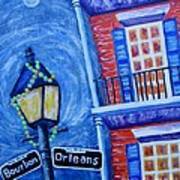 I'm originally from Louisiana and I just love New Orleans. The old buildings, street lights, and especially the fantastic food. This is my original painting of a slanted old building as viewed perhaps after a night of fun on Bourbon Street.